Improved home page with navigation with links to categorized product collections. 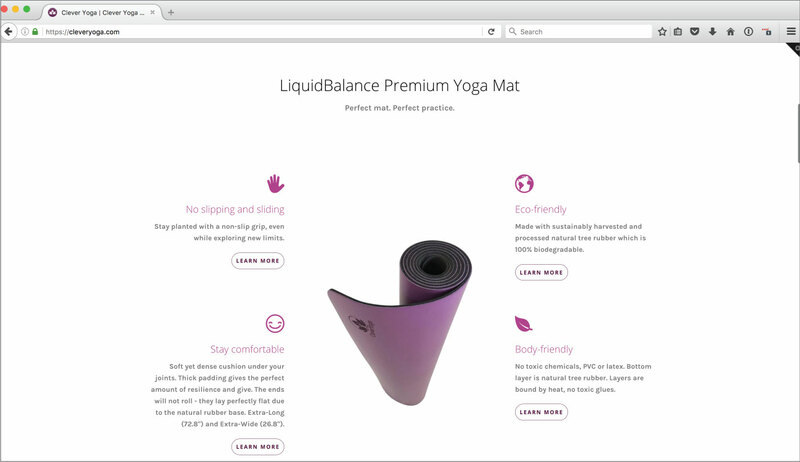 Alternate Home page option the client could toggle to, for running a promotion on their popular LiquidBalance yoga mat. Former featured product page, again with a link to buy on Amazon store because this CleverYoga.com storefront wasn't set up. 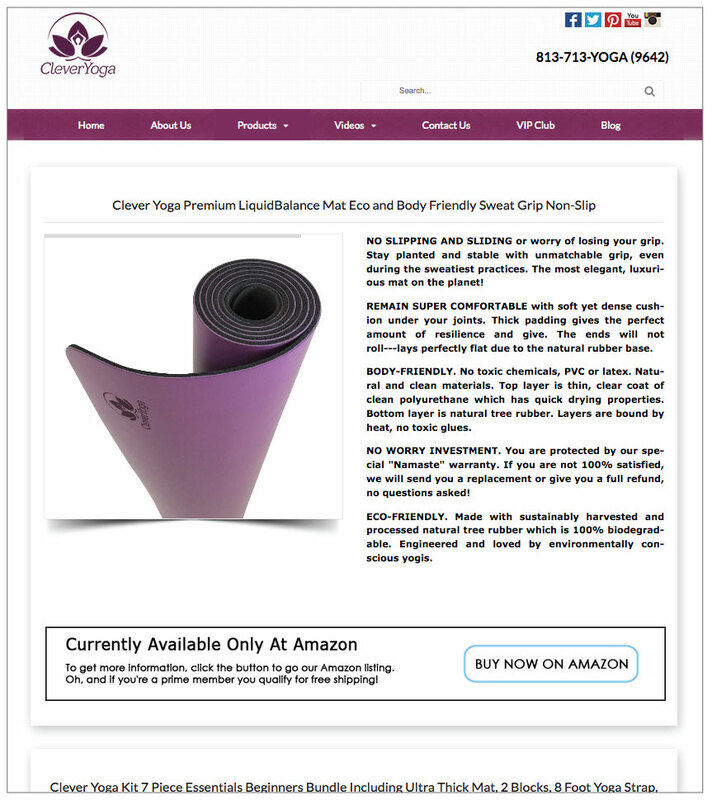 Featured page for LiquidBalance yoga mat - shares top benefits of this premium product.